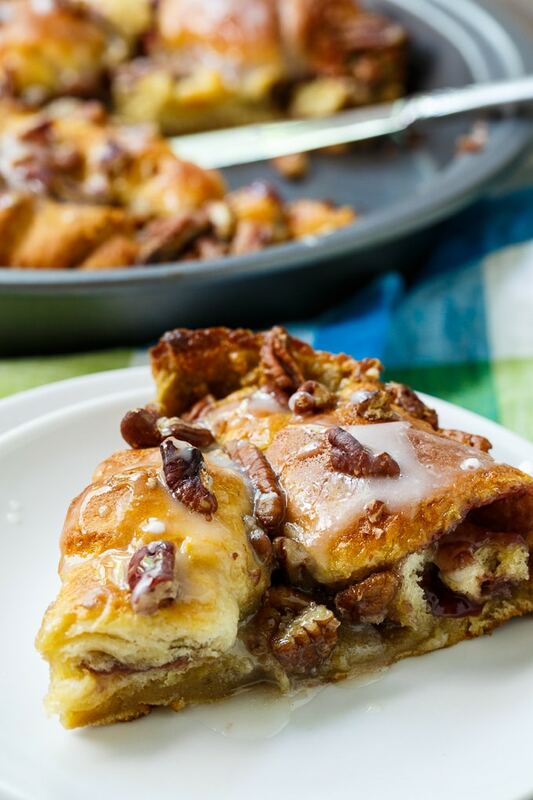 Crescent Roll Coffee Cake with raspberry preserves, pecans, and a sugary glaze makes an easy breakfast. 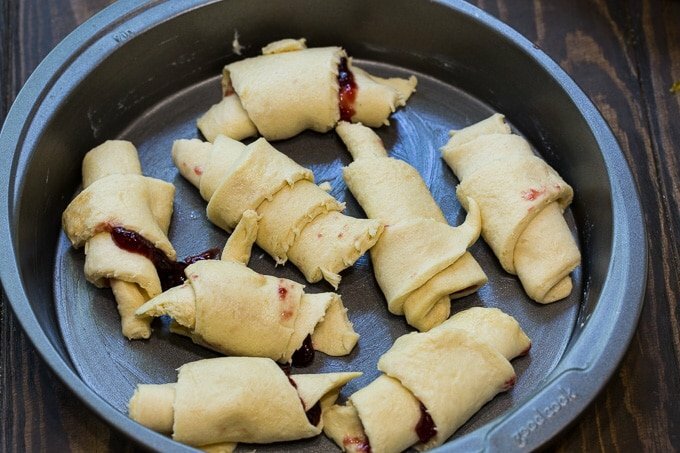 Refrigerated crescent roll dough is spread with raspberry preserves and rolled up into crescent rolls. The rolls are places in a 9-inch cake pan and a butter, brown sugar, and egg mixture is poured on top of them. 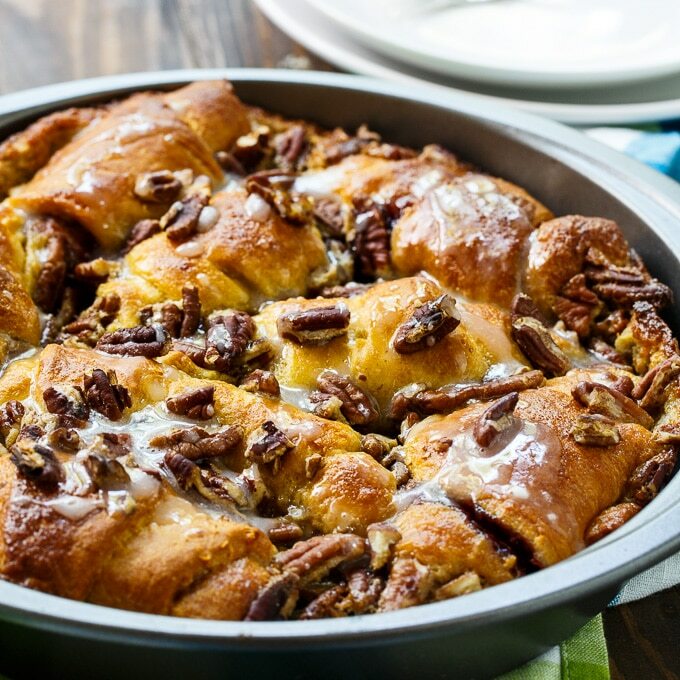 Sprinkle a few pecans on top and bake for about 25 minutes. Drizzle an easy glaze all over it and cut into pie shaped pieces. This easy Crescent Roll Coffee Cake tastes so good with a cup of coffee and kids will love it too. It’s so buttery and good. The outside gets browned and crispy and inside you have that nice fruit preserve surprise for a little more flavor. This recipe is very versatile. Instead of using strawberry preserves, use peach or blueberry instead. Or maybe even Nutella. I’ve used pecans but you could use walnuts or almonds. 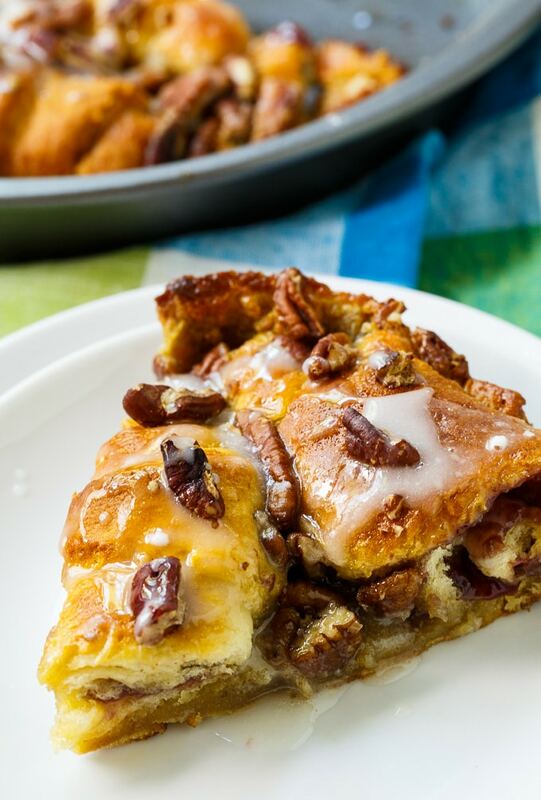 Crescent Roll Coffee Cake with raspberry preserves, pecans, and a sugary glaze makes an easy breakfast. Refrigerated crescent roll dough is spread with raspberry preserves and rolled up into crescent rolls. Preheat oven to 375 degrees and grease a 9-inch cake pan. Use an electric mixer to mix butter, brown sugar, and eggs until smooth. Beat in flour and vanilla. Set aside. 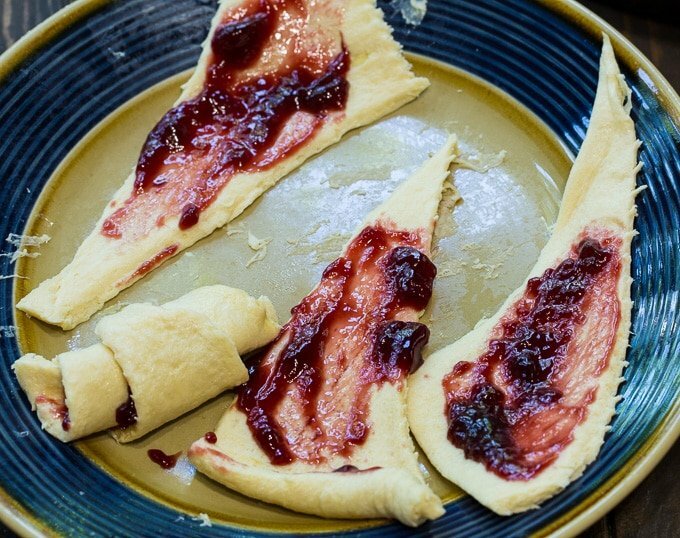 Spread a spoonfull of raspberry preserves on each piece of crescent roll dough. Rolls crescent rolls up and place in prepared pan. Pour butter/egg mixture over crescent rolls. Bake for 22-25 minutes or until golden brown. In a small bowl, whisk together powdered sugar and milk. 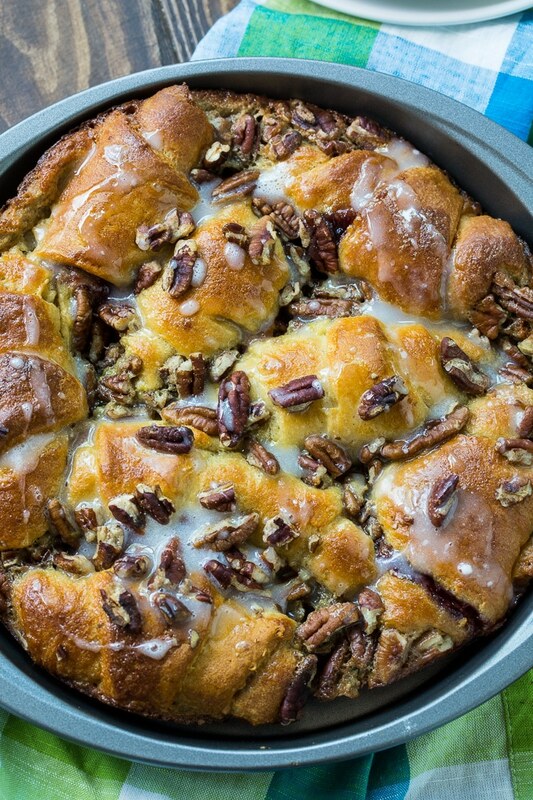 Drizzle glaze over Crescent Roll Coffee Cake and serve. 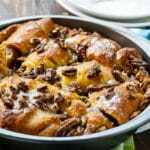 This entry was posted in Breakfast and tagged coffee cake, crescent rolls. Bookmark the permalink. This was so delicious and super easy! I made it two mornings in a row using different fillings each time. Orange marmalade was our favorite. Thanks for the awesome recipe! I was looking for a sweet addition to this morning’s breakfast that would be quick & use things I had on hand. This was perfect! It seems like such a versatile recipe & my kids were making suggestions for other flavors & fillings they’d like to try. It’s a great little coffee cake that I will make again.